While studies have shown that the benefits of yoga and meditation aren’t really any greater than those provided by common relaxing activities like watching a comedy or going out for beers with friends the practice certainly doesn’t harm you. And since it’s always nice to have a hobby we shouldn’t ignore our yoga-loving friend’s object of interest when choosing a gift for them. If you lack inspiration or any sort of knowledge in this regard, then we hope the following list will give you some ideas. 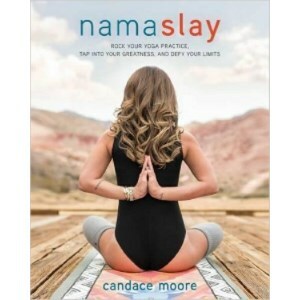 Candace Moor’s 416 pages book is both a guide to yoga practice and a motivational story about the author’s own battle with a dangerous illness. Besides advice coming from her own experience using yoga to combat health issues, Moor also informs the reader on a wealth of both traditional and modern knowledge regarding this practice. The book also features 30-day yoga programs that target specific needs and can be followed step-by-step. These are accompanied by good quality photos to make them easy to follow, and the prose itself is humorous and lighthearted. Relatively inexpensive for the amount of information it provides, this book can benefit any yoga practitioner. This is probably the strongest yoga wheel on the market, able to withstand up to 550lbs. 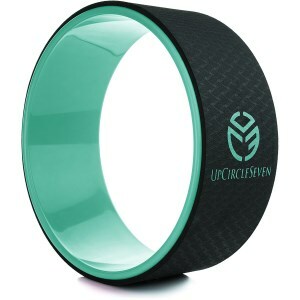 It is also remarkably rigid, and won’t bend under your weight to give you a less-than-ideal surface. This means you’ll be able to properly practice sequences and forms that won’t be possible with other products. The padding material used rases to the same standard of quality, being remarkably thick and sweat resistant, so it stays clean through multiple demanding yoga sessions. Of course, it’s purpose isn’t limited to yoga, and you can use it much as you would a gym ball for disciplines such as aerobics. 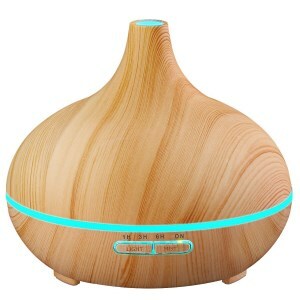 This humidifier comes with all the features you’ll need to create a proper yoga atmosphere without any hassle. It has multiple time settings, for 1 hour, 3 hours and 6 hours, to a continuous running time of 10 hours, allowed by the rather remarkable water capacity of 300 ml. After running dry, it is easy to refill, since great care had been taken that the lid will be easy to take off with a wet hand. Besides giving it a traditional look the wood essence covering its body gives it significant better friction than what you’ll find with cheap plastic models. 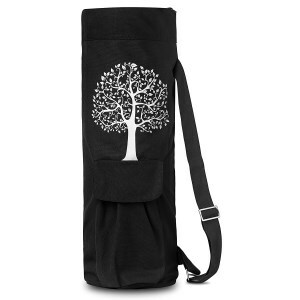 This is a highly practical carry bag for your yoga mat, large enough to accommodate any sizes from ¼ to ½ inches thick in its main compartment. It also comes with two additional pockets for extra gear, a roomy front cargo and a slightly smaller side pocket, which also features an earphone slip for your music player. It’s made out of 100% cotton, so it’s soft on your body when carried around by the adjustable shoulder strap. Another thing to note is that the zip runs all the way through the top down to the bottom of its body, so a full half of it can be opened for the easy removal of your mat. This traditional Tibetan singing bell set was made by artisans at the foothills of the Himalayas, so it’s one of the closest to being authentic items of its type you can buy (at a reasonable price, we might add). 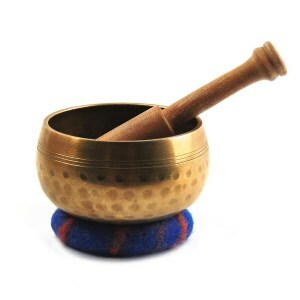 You can actually see the hammer markings on the brass bowl itself and the sound it makes when hit with the wooden rod doesn’t disappoint, offering good resonance and vibration. The kit also comes with a donut-shaped pillow for the singing bell to rest on, which was stitched by hand by Nepalese artisans. This sage kit from Tatum & Shea will be just the thing to buy for a yoga-practicing friend moving into a new house. It comes with all the sage he or she can burn in four sittings (this might be particularly handy if there’s a lot of house to cover), an abalone shell bowl, and a couple of clay feet for it to rest on. The shell itself is as beautiful as you’d expect from the material, and it sits firmly on the primitive-looking stand, so the piece can easily double as a display item after its work of “cleansing negative energy” is done. 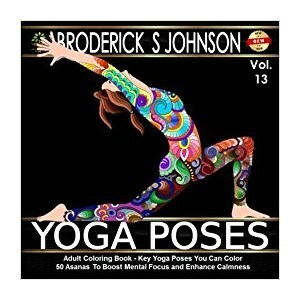 Coloring books are themselves considered to be highly relaxing for people of all ages, but with this piece containing no less than 50 images of yoga poses to color, your spiritual friend might reach new levels of calmness. The images are displayed on thick, coarse paper, so both pencils and crayons should adhere well. Their difficulty is intended to cover the whole range of skills, from beginners and children to challenging, so your friend is bound to find something that suits his or her state at the moment. This can also serve as an educational tool since all the 50 poses covered are named. With its combination of eucalyptus & tea tree oil, this spray will act as a much as a fresher for as it would a cleaning agent. 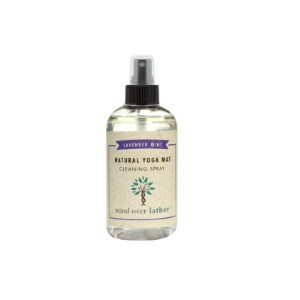 While how well it cleans wasn’t a very talked about issue in customer reviews for this product, people were almost unanimously impressed by how nice it’s minty lavender smell was, and how well it stuck to the yoga mat. This might be selling it short since tea tree oil is known to have some antibacterial properties, while good old water is always somewhat effective at taking the dirt off surfaces when used with a wipe. You probably know someone who loves doing yoga and it’s usually more than just something they do for fitness. Once they start practicing, it becomes a way of life, that is why they will feel joy and appreciation for any yoga gift they’ll receive. 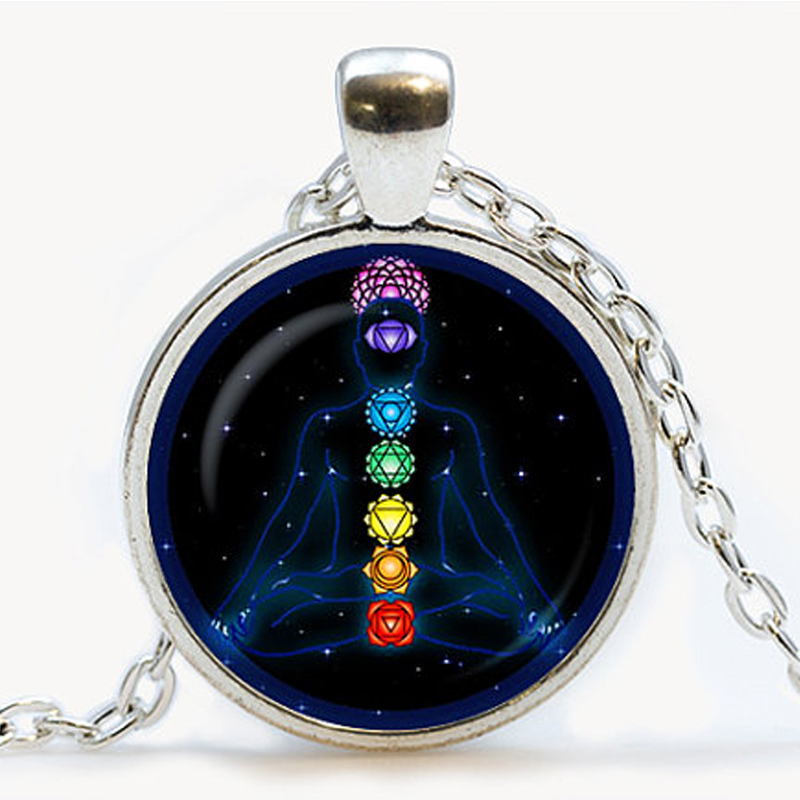 Thousands of products that are in some way representative of this spiritual trend have been altered, redesigned or simply embellished and renamed to become yoga gifts, while others have become standardized and are mass produced. Finding cool yoga gifts could prove challenging, especially if you’re not into it yourself. That is why you should start asking questions about your friend’s tastes and preferences and do some research on the design and features you must aim for when purchasing the items. The elimination process should leave you with fewer choices that you can handle better. We came to your help and compiled a short guide with some of the suggestions you need if you’re planning on buying the best yoga gifts. Clearing up things for you will prove time saving and less unnerving. When taking into account the advice we give you, don’t forget to compare it to the style, habits and favorite treats that your yoga-loving friend is passionate about. This is how you’ll manage to find something that really becomes them. Once you start to scroll for the possible items you can put on the list, you’ll notice there are series of products that come into categories. We traced them and set them in writing because we think this can be really helpful if you’re in the process of deciding. Most sites from which you can buy products destined for yoga lovers have a large part of their offer dedicated to the gear and outfit required for daily use and going to yoga classes. And since they usually go through wear and tear it would be a great idea to offer some of them as gifts. Replacing old gear, making additions to it and improving the yoga class experience as well as the home practice by using better products has the potential of making your yoga-loving friends a bit more grateful and joyful. Look for some quality reversible yoga mats. You’ll know they’re what you’re searching for if they provide good cushioning and grip, use non-toxic materials, they’re easy to clean and lightweight. You could also buy them a skidless mat towel, which is really easy to carry and seems to be a good replacement for gripping socks and gloves. For hot yoga, this microfiber fabric is of great help. In case you’re wondering, yoga leggings, pants and capris are among some of the best gifts for yoga lovers. You can place them on your list, without a doubt, but you need to make sure it’s the right size. Some will prefer the high waist versions, others the recycled or the mesh. The fabric, stretch, and UV protection factor should guide your purchase for any of the mentioned items. Some of the yoga enthusiasts like to be on the move and go different places to merge with nature, take courses, meditate or meet new people. But even if they have to leave for more trivial reasons, they rarely interrupt their practice. That’s why travel bags and totes in which your friend can put most of the gear are suitable. Yoga mat bags, durable yoga mats for outdoors and mat straps are awesome yoga gifts, they can be useful for a long time and your friend will feel enchanted for receiving them. The yoga mats and towels that are great to take on a journey are ultralight and easy to pack. You’ll also notice some of the mats are water repellent and have higher density so that they can be used on the hard ground and wet grass. Most of the things yoga students take with them are the same as the one they have at home, but there are certain features that make them suitable for travel and outdoor use, so pay attention to them. Making presents to those that are at the beginning of the yoga path shows support and is a heart warming. Besides the usual items, they appreciate there are various other products you could offer to them. Try to add a zafu, pillows and yoga blocks to the minimal list, because beginners need a little help with the pain brought by sitting in difficult positions for long periods of time. The yoga blocks are particularly useful for better practice, helping the novice to track their own moves and use their body correctly. Give yoga beginners some yoga cards. They are a great study guide for when you need some inspiration, and you’re not in class, following directions from a trainer. Instead of leafing through heavy books to find the one pose they were looking for, they can shuffle the deck and quickly spot the asana. Prints and posters could prove to be just as useful for starters. They can be funny, motivational, or simple reminders of spiritual wisdom that neophytes seek. The flower of life, the chakra system or the Om syllable are also very appreciated. It makes no difference if the yoga fan is more or less experienced, there will always be cool gifts for any of them. This is the case for Zen pieces of jewelry. Necklaces and medallions, rings and earrings with Om inscriptions and representations of Buddha or Ganesha, they’re all appreciated by the yoga students. Beads and bracelets may seem like small gifts, but they’ll make your friend’s day and become part of their special collection. Wearing the gift you receive is a nice thing, and many people enjoy doing that. On the other hand, yogis sometimes prefer to keep their body free from any burdens. So you can also buy small wooden statues and figurines, incense and tapestries for their homes. Add various decor items & books, candles, essential oils and burners to the list, because they all fit the lifestyle your friend has chosen. They are excellent for getting into the atmosphere and transforming a home into a spiritual place. Books written by favorite yoga masters or containing detailed advice about yoga practice are really helpful, while essential oils are often recommended for their mental benefits, not just the pleasant smell.